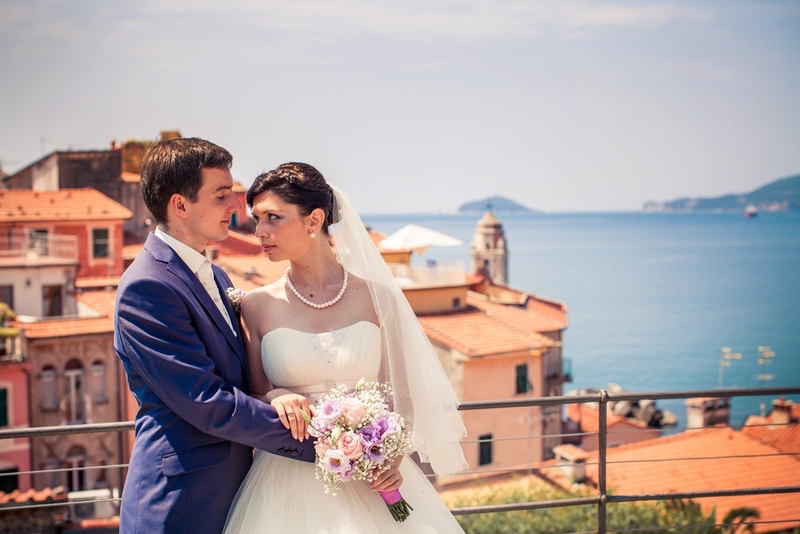 A civil wedding ceremony of this couple took place in the XII century Chapel of Santa Lucia in a small Ligurian town. This toy place is situated on a high rock overlooking the Mediterranean sea, not even cars and bikes drive there. The place is full of long narrow streets, every balcony and door is different from the others. The Chapel is situated on the rock, just above the sea. 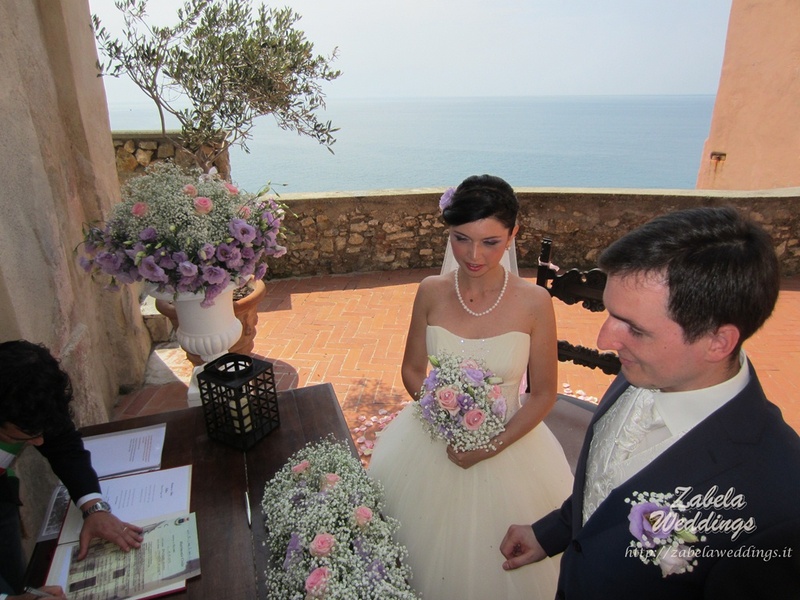 The couple wanted to use the chapel’s front as the altar of their ceremony. The mayor of the city registered the ceremony. 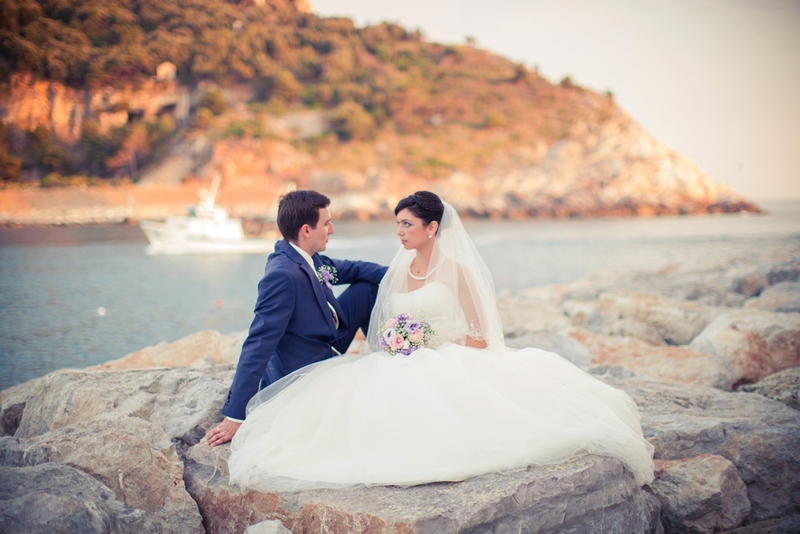 After the official part the newlyweds walked around the town, had a dinner in a typical restaurant, and afterwards headed to Portofino and Portovenere for the wedding photosession. This romantic wedding day finished with an amazing dinner for two at the terrace of their beautiful hotel room, overlooking a magical sunset.